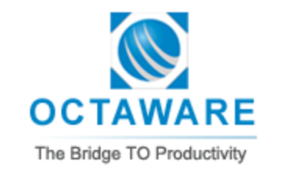 Octaware Technologies is a holding company with consolidated business interests in software development, enterprise solution and consulting firm engaged in the business of providing a range of Information Technology (“IT”) solutions to companies across sectors such as Healthcare, Education, Telecom, Oil & Gas, Real Estate & Construction, Banking & Financial Services and Manufacturing sectors. The company designs, develops and maintains software systems and solutions, create new applications and enhance the functionality of its customers’ existing software products. The various services offered by the company are Software Development Services, Enterprise Portal, ERP and CRM Implementation, Consulting Services, Mobile Solutions, RFID Solutions, Cloud and IT Infrastructure Services and Geospatial Services. It also provides an array of products and solutions like PowerERM – Employee Relationship Management, Hospice – Healthcare Solution and iOnAsset – Asset Tracking & Management System, IntelliTrade – Trading Platform Support, RealWin – Real Estate CRM Solution, Life2Care – Patient Relationship Management, eDocNet – Enterprise Content and Document Management Solution and eQuire – Office Automation and eProcurement Management Solution which help its clients in strategising their business objectives. Octaware Technologies IPO allotment status is available on Cameo Online website. Click on this link to get allotment status.